The Relay for Life Walk was a month ago, but the official end of this year’s RFL fundraising season wasn’t until last weekend. 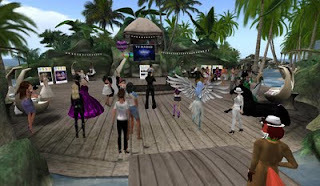 Saturday August 20th, 2011, members of various Relay teams got together for the last event of “Seasons of Hope.” It was time for the Wrap-Up Party. Another thing that happened was that the much-anticipated theme of next year’s relay was made public. The 2012 Relay for Life will have the theme of “Time for a Cure.” The announcement was greeted with much applause. And, there were the awards given out begining at 4:30. Many of these were basicaly given out for fun, such as Fuzzball Ortega being awarded the “Big Hair” award for the enormous hairdo he sported at times. Others were more serious, such as the “Spirit of Relay” Individual Award, announced by last year’s winner Ember Farina. “For the last six years this year’s recipient has been Relaying in SL. Regardless of Team affliation, anyone who has needed assistance with Kiosks, Vendors, or building has found a helping hand. This year, just as Relay was kicking into high gear, he suffered a debilitating stroke. His motivation for a fast recovery was actually Relay for Life! He worried so much about his team that he came back inworld before he could even read or type; they all used voice to communicate with him to ensure that the team would keep moving forward. He’s determined, and despite all odds, always involved in anything that has to do with Relay, from planning to end, always there to help others regardless of other affiliations. Daaneth, whom was there with several others from his “Passionate Redheads” team, was clearly surprised by the announcement, which was greeted with cheers from many. He thanked everyone, and was a bit quiet for the rest of the time he was at the Wrap-Up event. But later on, he and the Redheads would soon do a little celebrating of their own. Spirit of relay award - I am stunned. I want to thank EVERYONE who nominated me. I have now words to express my gratitude. Except .. > PARTY! NOW! HOPE GARDENS! NYDIA IS THE DJ!! FIREWORKS! And one OTHER very important number: L$ 726,001 -$ 2,904 - how much money you raised this relay season. Please come party with me! And a number did. Not just the Redheads, but Fuzzball Ortega dropped by as well, showing off “The Hair” that had gotten so much attention this year. DJ Nydia Tungsten cranked up the tunes, and Daaneth set off some fireworks, lighting up the night sky over Southern Colorado. It was a great end to a great season. 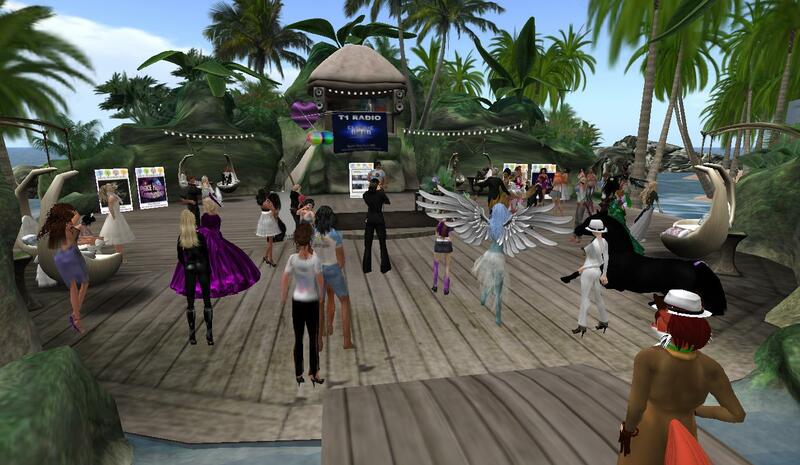 To hear the audio of the event, one can go to an archived recording Here. For more pictures, Ishtars Kiss has some on her Flickr page. 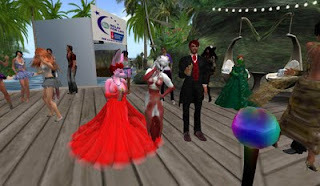 And for a list of the award winners, check the post on the Relay for Life in Second Life Blog.